We’re Literally Eating and Drinking Plastic. Fossil Fuels Are To Blame. The plastics industry sees fracking as a huge opportunity for their profit margins. But plastic has already entered our food and water supply and our bodies—one more reason we need to move off fossil fuels before the problem gets even worse. Care about plastic pollution? Then it’s time to work to start moving away from fossil fuels. It is so pervasive in our environment that it’s become commonplace to digest it through the microplastics present in our food and water. Plastic in Water, Salt…Even Beer? Everyone drinks water, and whether you drink tap water or bottled water, you are very likely ingesting some level of plastic pollution. 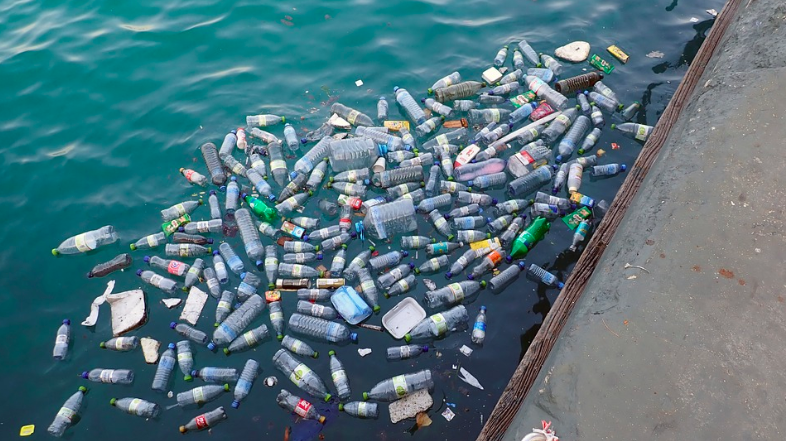 A recent study by Orb Media tested 159 drinking water samples from cities and towns around the world, and 83 percent of those samples contained microplastic fibers. That means food prepared with plastic-contaminated water becomes contaminated as well. Bottled water samples fared even worse than tap water—unsurprising because it is manufactured with plastic. Another recent study by the same organization found 90 percent of bottled water analyzed from around the world contained plastic microfibers. A single bottle of Nestlé Pure Life had concentrations of microfiber plastics up to 10,000 pieces per liter. The type of plastic used to make bottle caps was the most common type of microplastic fiber found in bottled water.